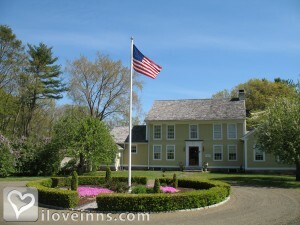 Essex bed and breakfast travel guide for romantic, historic and adventure b&b's. 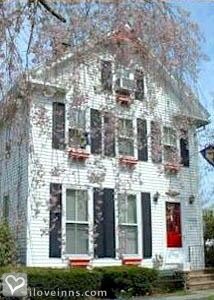 Browse through the iLoveInns.com database of Essex, Connecticut bed and breakfasts and country inns to find detailed listings that include room rates, special deals and area activities. You can click on the 'check rates and availability' button to contact the innkeeper. If there is anything in history that makes the town of Essex, Connecticut unique, it is that it is one of the few locations in the country that have been attacked by a foreign armed force. Aside from its relevance in history though, Essex also has other beautiful sites worth visiting. Because of this, Essex bed and breakfast inns have prospered. Prime attractions are the Essex Steam Train and Riverboat that take visitors to tours around the town's scenic spots. The Connecticut River Museum, which is right in the heart of town gives visitors a close look of the town's history. The Pratt House is another historic site that should be seen. For a unique meal of sandwiches, the choice would be Olive Oyl's. After a day of roaming around and before retiring to bed, going to the Spa of Essex and getting a relaxing massage would be a good thing to do. By The Griswold Inn. Essex, CT is considered "The Best Small Town" in America in a vote some years ago. Although the town of Essex is composed of three villages namely Essex, Centerbrook, and Ivoryton, each of the towns is entirely different from the others. Essex is known for its beautiful landscapes, majestic trees and gardens, which makes any Essex bed and breakfast a relaxing treat for weary travelers. If you fancy history, Essex will humor you with the factory homes of Ivoryton. The town is also known for its impressive architecture, apparent in its churches, factories, and with the town streets lined with Federal, Victorian, and Cape Cod houses. The small town hosts a number of exciting parades, starting from the Groundhog Day, to the Burning of the Ships Parade that celebrates the 1814 British raid that left 29 ships burning along the harbor). In Essex, parades are a way of life. We invite you to come to and enjoy the wonderful town of Essex. Experience and explore the beauty that is Essex, Connecticut. By The Griswold Inn.